Long lariat made with turquoise Picasso Czech glass, surrounded by metallic Miyuki seed beads in matte metallic blue. I used an extra fine beading wire so it drapes softly around the neck. 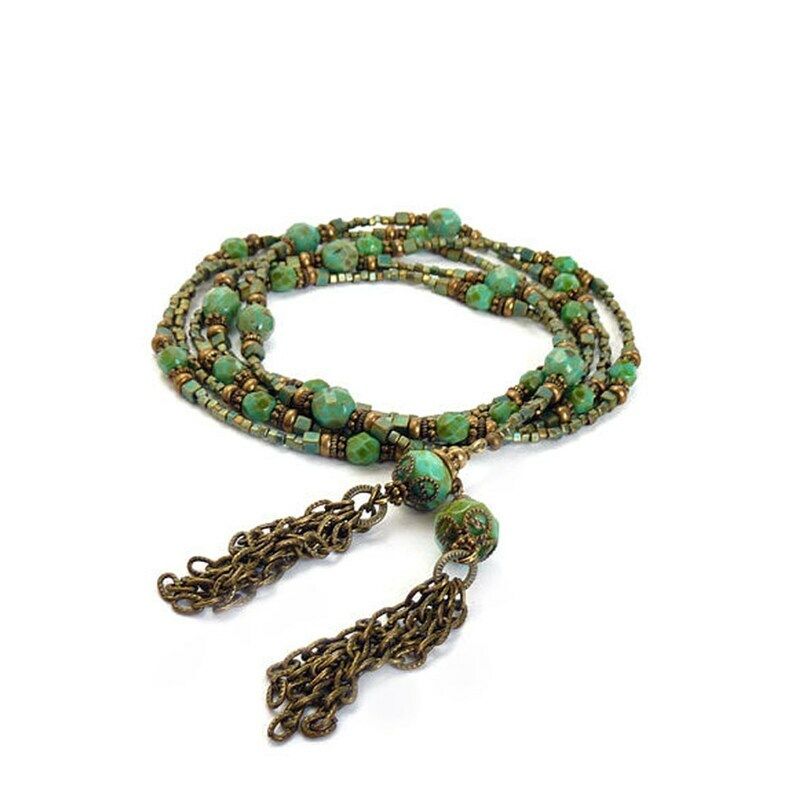 This is an extra long necklace and so versatile; you can adjust it for different lengths and styles. Each end is finished with a glass bead and fringe I made with antiqued bronze chain. It ships with an instruction sheet with ideas on ways the necklace can be worn. Absolutely GORGEOUS! A high quality piece that was assembled and crafted with great care. I am Beyond Happy with my purchase and the kind and accommodating shop owner. Definitely first rate in every way!